Part 1 of this series introduced the API Science platform and described the basics of how you can utilize your free one-month trial to monitor and evaluate the internal and external APIs that are critical for your platform to be fully functional. 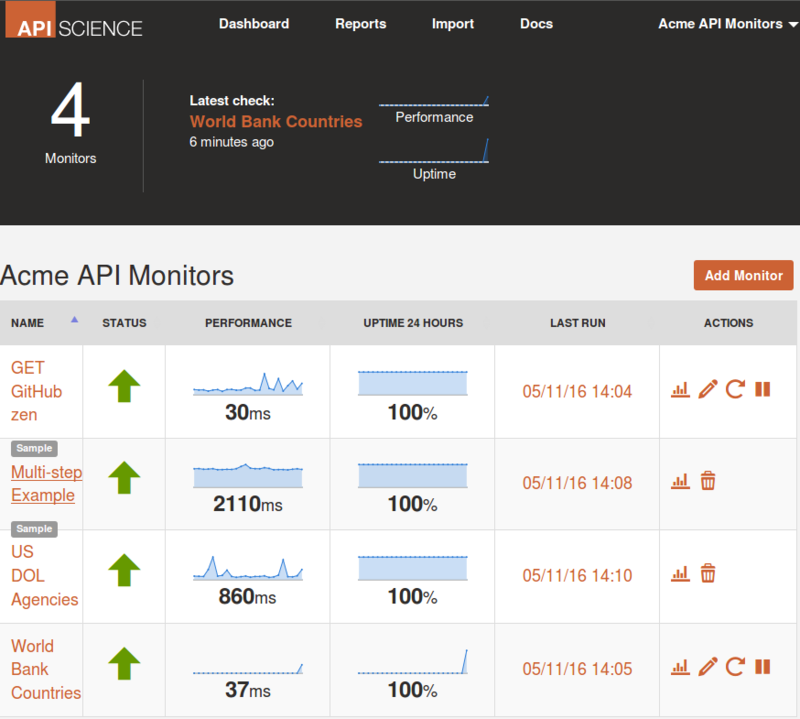 Once you have signed up and reviewed what API Science offers, the sensible next steps are to create your own API Science API monitor and configure the monitor’s settings as suits your needs. However, the API Science monitoring platform provides options for much more comprehensive configuration of API test settings, and also provides the capability for automated notifications when an API monitor test fails and, optionally, when the test returns to success. 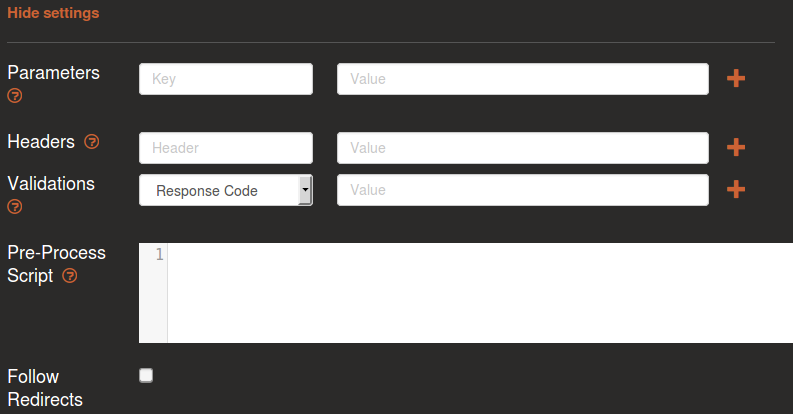 The Parameters section lets you add parameters for HTTP POST and PUT requests. You can add any number of Key/Value pairs. Note that, if the API is accessed using the GET protocol, the API may support direct insertion of parameters into the URL using the ?param1=value1 protocol. The World Bank’s APIs provide many opportunities for parameterized calls. Based on your customers’ needs, you could utilize the Parameters configuration to specify the exact World Bank API call you want to monitor. The Headers section lets you configure HTTP header Key/Value pairs, for example Content-Type and application/json. Response Code: you specify which HTTP Status Codes are considered to represent a successful test; if any other HTTP status code is returned, the test fails. Regex: you specify a regular expression that must be satisfied in order for the test to be considered successful; if the Regex analysis of the returned stream fails, the test fails. Validate JSON: if the returned stream is not valid JSON, the test fails. Max Response Time (ms): if the response time exceeds the limit you enter, the API test is considered to have failed. 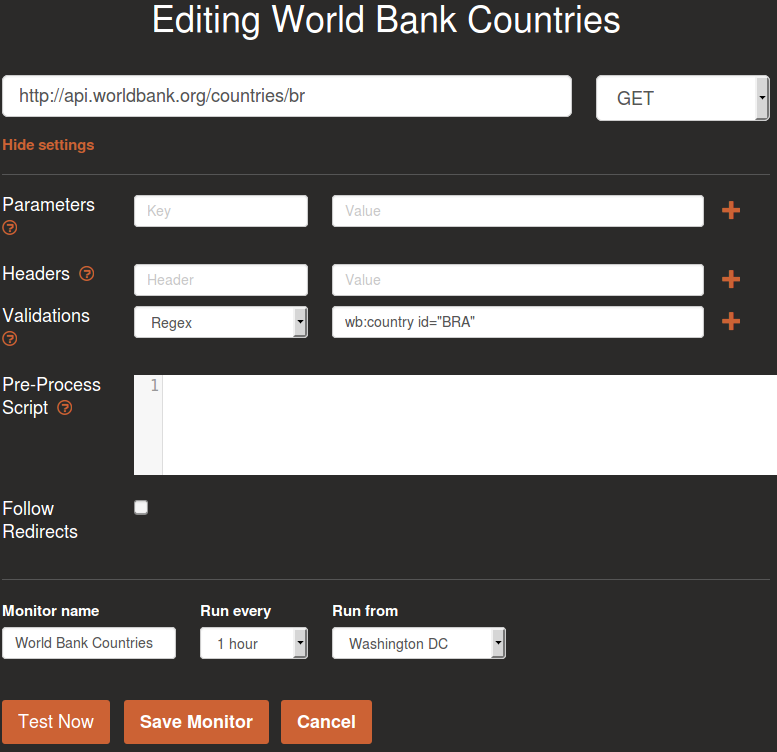 Clicking “Test Now” produces a successful result when the World Bank Countries API is functioning properly. 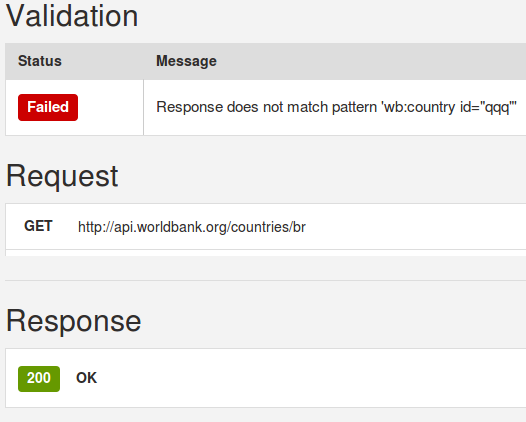 The call to the API succeeded with respect to the API returning a response, but the criterion we specified for considering the response valid (the text had to include wb:country id="qqq") was not satisfied, so the Validation failed (as should be the case, since our monitor’s GET URL is for Brazil, not for country “qqq”…). This test illustrates how you can utilize the API Science API monitor settings to effectively customize API test settings to conform to the requirements needed to effectively serve your customers. 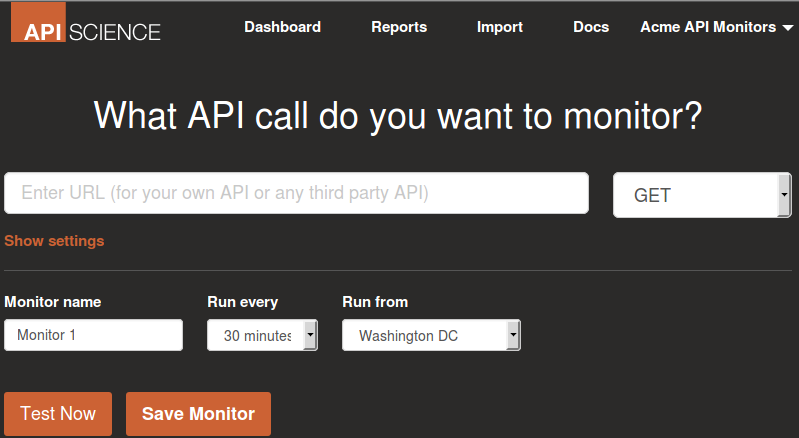 API Monitoring, Getting Started, Global Monitoring. permalink.